Tim Maguire is the Owner of SERVPRO of Quincy. He has been involved in the business for several years and has a passion for helping those in their time of need. Tim has the following certifications from the institute of Inspection Cleaning and Restoration (IICRC): Water Removal Technician and Applied Structural Drying Technician. 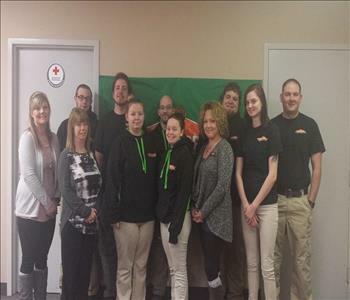 The crew at SERVPRO of Quincy serving Adams, Hancock, Brown, Pike and Schuyler counties. Our employees' certifications include ECTP - Employee Certification Training Program, Applied Structural Drying, Fire and Smoke Damage Restoration, and Water Damage Restoration. Our goal is to help minimize the disruption to your life and quickly make it "Like it never even happened." 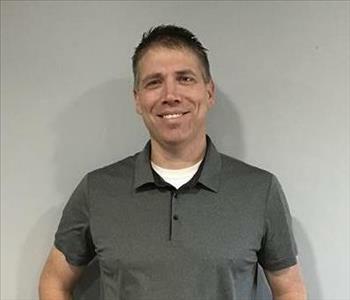 Bill Timmerwilke represents SERVPRO of Quincy as the Sales and Marketing Manager. 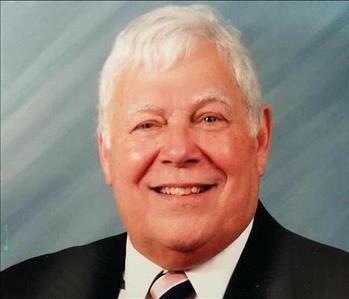 He is a lifetime resident of Quincy. Bill is married and has 4 grown children. He has over 30 years of experience in the insurance business. He enjoys meeting with people and assisting them in anyway that he can. 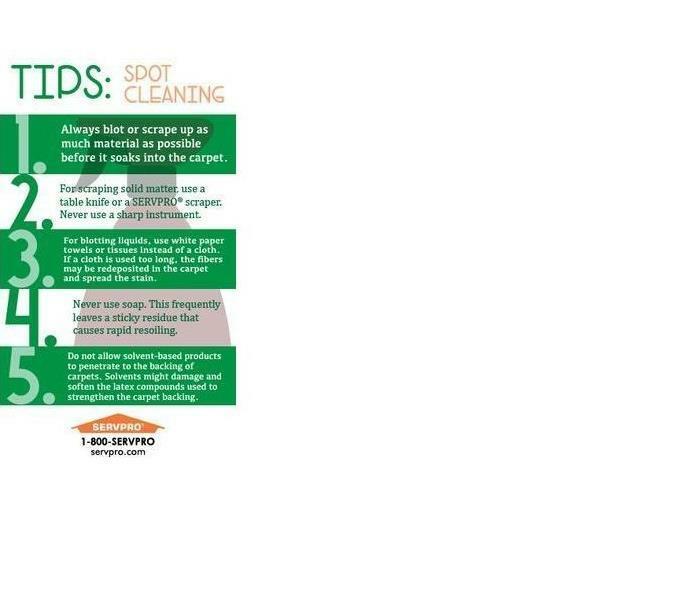 Bill is proud to be a part of the SERVPRO of Quincy team. In addition, some of his hobbies include biking, swimming, and all outdoor activities. Most of all, Bill enjoys spending time with his family and friends. Say hello to SERVPRO of Quincy's Office Manager, Melanie McCutchan. She has been with SERVPRO of Quincy since 2015. Melanie is highly trained in Xactimate, Quickbooks, and certified in DryBook. She has training through the Institution of Inspection, Cleaning and Restoration (IICRC) with the certification as a Water Restoration Technician. Melanie says, "When her customers are in a panic due to a devastating situation at their business/residence to call SERVPRO of Quincy and we will make it 'Like it never even happened.'" If you see her out say,"Hello!" She is a friendly face and a reassuring voice with the how to's in order to get back to your daily life. Jessica is in her first year of service as a Production Technician and has just recently taken over our laundry department running the Esporta Wash System. In her free time she enjoys being with her son. Her favorite part about her job is restoring fire damaged contents for our customers. She enjoys the look on their faces when they realize we were able to restore their contents. Whitney is in her first year of service as a Production Technician. She specializes in fire damage restoration. She enjoys the team of crew members that she works with. The best part of the job for Whitney is seeing the results at the end of the job. Regina has been with SERVPRO of Quincy for a year working as a Production Technician. As a Production Technician, her primary focus is customer satisfaction. Regina says, "We are there at one of the worst times in a customer's life and our crew tries to go above and beyond to make them feel calm." In her free time, Regina likes to spend time with her children and her family. Aaron is going on his third year working for SERVPRO of Quincy as a Crew Chief. Aaron enjoys watching sports, fishing and spending time with his daughter in his free time. His favorite part about working for SERVPRO of Quincy is making people happy and lending a helping hand in their time of need. Aaron is IICRC certified in water and fire restoration. T. is a Sales and Marketing Rep for SERVPRO of Quincy. He is a life long resident of the Quincy area. He is originally from Liberty, IL where he grew up and went to school. 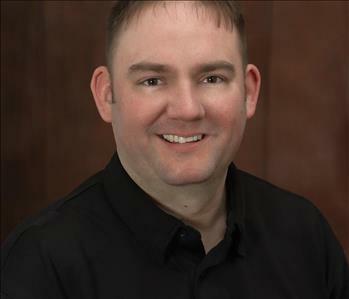 He enjoys the relationships that he builds with Insurance Agents, Adjusters and Business Owners alike. He is proud to be a part of the SERVPRO of Quincy team. He looks forward to the part he will play in the Quincy Team. When T. is not at work he enjoys spending time with his wife Connie, who is a 7th Grade Teacher and Christian Writer, as well as his two grown children Jonah and Maacah. He is also an active member of Madison Park Christian Church, where he is involved in Worship Ministry, Jr. High and Elementary Ministries.